We manufacture & repair flatbed tarps, grain trailer tarps, custom tarps, shop divider curtains, cattle shades, etc. We use top quality vinyl that is manufactured in the USA. Our trailer repair shop offers all types of trailer maintenance & repair such as installing grain trailer tarps, converting to electric roll systems, brake repair, air bags, lights, etc. ​We also offer DOT Trailer Inspections. 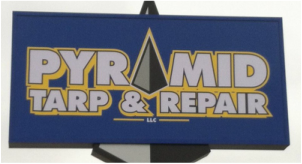 Find our featured Tarps in Trailer Parts and Equipment featured as a York, Nebraska Business in York Marketplace.